Listen. I say the following with a pristine record of support for unhealthful dairy-based coating glops—both as a genre of foodstuffs and in most specific instances—as well as with the firm backing of all available science: Ranch dressing is bad. Bad dressing. A bargain we accept in our society, in exchange for the liberty to think and say and like pretty much whatever, is sharing this society with many other weirdos who also may think and say and like pretty much whatever, including things that may displease or even frighten us, and not chasing them into the wilderness with torches when they think and say and like things that are bad. Even when what they are thinking, saying, and liking, is "Boneless Creamy Ranch Pork Chop." Even then! This is the deal we uphold, as a free people. This deal—the hard beauty of it, its cosmic wisdom, how at bottom it is indivisible from freedom itself—is what you must keep in mind when I describe for you twisted RAnCh, a St. Louis eatery that really does capitalize its name like that (the R, A, and C are the first initials of the owner's kids), oh, and also puts ranch dressing on or in all its food. 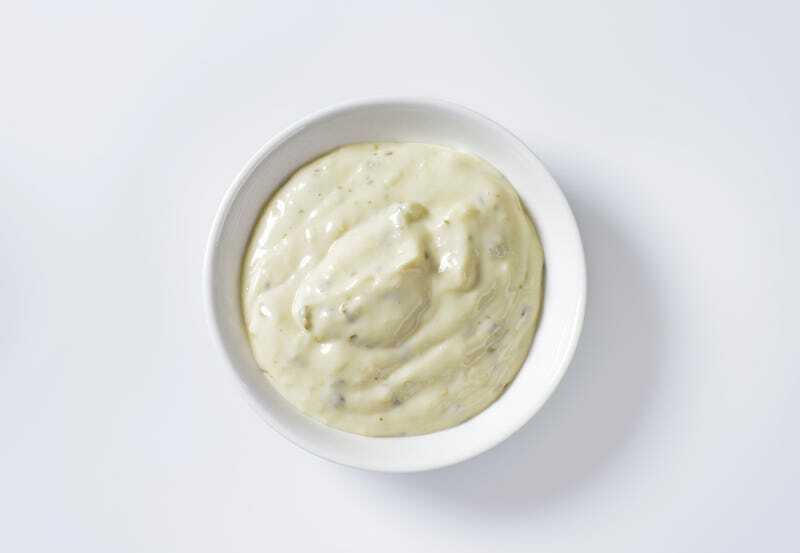 We have developed our very own secret homemade ranch recipe and incorporate it into every dish on our menu at some point during the preparation phase. Now, I know what you are saying, here. You are saying, "Waauuuughhhhuuuhhuhuhuhhh!" But, I mean, who knows? Maybe all the dishes on the menu are the kinds of things that might reasonably incorporate ranch during preparation. Stuff like, uh, y'know ... [10 minutes of whistling desert wind]. What foodstuffs does this restaurant serve to the people of St. Louis? Well, there's the Boneless Creamy Ranch Pork Chop mentioned up there, which sounds pretty straightforward, where "straightforward" may be taken to mean the sound of me spitting my bit-off tongue into the garbage. There's also something called "Chicken Bloomin Lasagna" which the menu tells us is "homemade chicken & bacon lasagna served in a parmesan ranch sauce," and also, "also available with Buffalo chicken." Let us take a moment to list some questions a reasonable person may have about this item. 1. What, in the context of a lasagna, does "bloomin" mean? 2. Is the word "homemade" meant to indicate that the lasagna is made in twisted RAnCh co-owner Jim Hyden's home, and then transported to the restaurant even as it putrefies in the passenger seat of his vehicle? 3. If yes, is that meant to add to the lasagna's appeal? 4. If no, is it meant to indicate that twisted RAnCh's other food items are not made at the restaurant? 5. When I envision a chicken and bacon lasagna served in a parmesan ranch sauce, I picture a regular lasagna, only with chicken and bacon in it, and with rich, creamy ranch dressing in place of the tomato sauce. If this is accurate, my question is: Go to hell? Here are some things to know about this viral marketing campaign with a ranch-caked nightmare of a food service establishment dangling off its back end. It has a children's menu, so that parents might consume a meatloaf both containing and coated in ranch dressing while also harming their innocent children. Its menu deploys "ranch" as a verb—as in, to ranch something, to apply ranch to a thing, as in Garlic Ranched Beef Tenderloin, as in so help me God before I die I will stand astride this restaurant's smoldering ruin and empty my bladder upon it—no less than 10 times. It also offers a selection of soups, one of which—Cheesy Bacon Ranch Potato Soup—has ranch dressing, diluted with cream, as the broth. It does not offer a selection of chicken wings. Don't go to Missouri. Thank you.